You’ll probably agree that it can be quite challenging to find top-quality CBD oil of premium blends. Or at least it used to be. Hemp Complete from Bluebird Botanicals is a formula specifically designed to take extracts from various hemp plants. So when you use this oil, you are getting cannabinoids in a one-to-one ratio in the carboxylated form as well as their raw form. Another interesting fact about this blend is that they use a distilled hemp extract from steam water. Within this extract, there is a large amount of terpenes. How does this affect the potency of the CBD oil? And what can it do for you? Do I Really Need to Care about Terpenes? What Is the Best Way to Consume Bluebird Botanicals? How Does Color Effect CBD Oil? For the most part, you’ll appreciate the benefits of terpenes mixed with cannabinoids because of the amazing effect that it’s producing. This is known as the entourage effect. And it happens because Hemp Complete contains a blend of 26 terpenes of an aromatic variety as well as ketones and aldehydes. Even better, their Classic Hemp Blend formula goes a step further by containing CO2 hemp extract. But this extract is even more potent because of the emulsification process that it undergoes in organic hemp seed oil. Some people like vaping their CBD oils. Others prefer to get their CBD in edible form like through edible gummy bears. Bluebird Botanicals is not only incredibly potent, it’s also best when the user consumes it by taking it orally. The taste shouldn’t turn you off too much. It has an earthy yet bitter taste, which you will definitely get used to over time. But even more crucial to know is the products have been decarboxylated. This means it’s a lot easier to swallow this liquid and you can handle it a lot easier in its raw form. Their Classic Hemp Blend is a bit different because it has a woody flavor, and this is much more so than their blend known as Hemp Complete. The color of both oils is golden brown. They typically smell like your average CBD oil products and they come in 1 ounce and 2 ounce bottles and also have a dropper to make dosage control very easy. The products produced by Bluebird Botanicals are thin. The blend known as Hemp Complete provides hemp oil in distilled form, which makes it a much lighter color. Their other blend known as Classic Hemp is extracted using the CO2 method. This method removes the chlorophyll and the green coloration right along with it. Most important, this company has such excellent offerings because they create their products using full-spectrum CO2 extract. This is good to know because this method is the best way to pull CBD from hemp plants and it produces the highest quality CBD oils this way. Generally, there are 3 forms of CBD oil to choose from. They include filtered, raw, and decarboxylated. The filtered form of the substance is golden colored. Before it’s packaged and shipped to retail stores for sale, it is filtered and decarboxylated ahead of time yet it still manages to retain its gold color. The filtered CBD oil types are usually the most expensive as well because the CBD concentrations are the highest and they are also the purest. Raw CBD oil, on the other hand, doesn’t receive further processing beyond the original extraction method. So other compounds aren’t going to be filtered out of this product including plant material, terpenes, and chlorophyll to name a few. The color of raw CBD oil tends to be on the green side since it still does contain plant material. Decarboxylated CBD oil simply means that they remove a carbon atom directly from the carbon chain while heating up the oil. They do this because they believe it improves bioavailability and fits better with your natural CBD receptors. Simply put, as far as the smell is concerned the Hemp Complete brand basically smells like a leaf. The Classic Hemp blend, on the other hand, has more of a wood smell to it. And insofar as the taste goes, none of them taste particularly good, but raw CBD oil seems to be the more tolerable of the bunch. 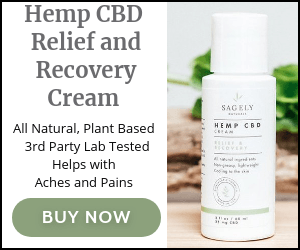 Many people are using CBD products for medicinal purposes to help them overcome conditions like stress, anxiety, and pain relief. So you definitely need to know what it is you’re consuming when taking these products. For the most part, CBD oil and other CBD products made from cannabis are very potent. Hemp plants, on the other hand, are definitely effective but they are not as potent as their cannabis counterparts. Why is that? Cannabis CBD oil contains cannabinoids that bring about the entourage effect. Hemp derived CBD oil doesn’t contain the same cannabinoids. What is the entourage effect? Basically, when using multiple parts of the cannabis plant it’s going to create a multiplying and added effect. One compound could amplify the effects of another compound and make it more potent and powerful. And this is why cannabis CBD is considered more potent than its hemp counterpart. Cannabis is also illegal in most states in the US. Believe it or not, the products created by Bluebird Botanicals are different than many of the other options available on the market. The biggest difference is the ability to go to their website and search the test results that they’ve done each product. This allows you to see all of the results of the testing, plus you’ll even gain access to third-party COA certificates which are also available online for you to view. When they test these products, they look at areas including mold, pesticides, heavy metals, microbial life, and the cannabinoid profile. So they thoroughly review each and every one of them to make sure they are top-quality before they sell them to their customers. Bluebird Botanicals definitely goes above and beyond industry standards. And because they share all of their testing results online, you know this company also holds itself accountable to the highest standards. Their products are made with top shelf hemp and do not contain nasty toxins, heavy metals, or other unwanted pollutants. Other retailers use cheap hemp and use the worst extraction method possible while Bluebird Botanicals employees the CO2 extraction method, which is the best. So, you always get what you pay for and you always know you’re buying a high-quality product because of the testing and COA certificates. That’s what sets this company apart from others and it’s the reason why you should consider buying from them in the near future.